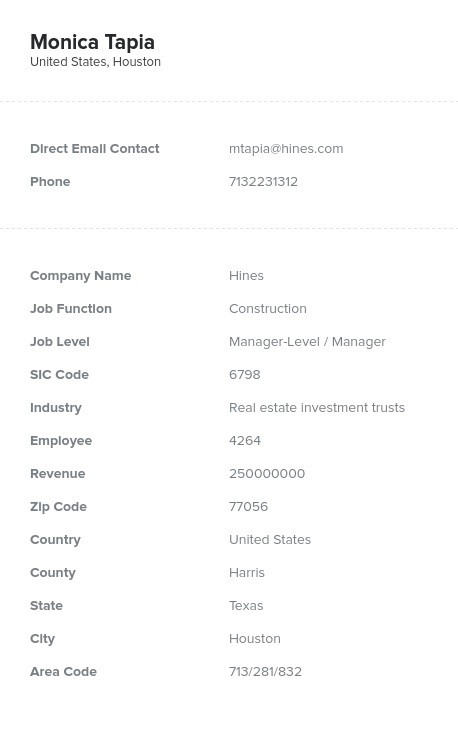 With this human-verified holding companies email list, you can contact those who specialize in trusts, advising investors, and wealth management. Investment offices can be valuable customers: Get the advantage with this business list to add them to your client list! Becoming a vendor to holding companies requires precise contact information. If you need an investment offices mailing list that has the most reliable and updated information, then buy this pre-built business database, which is filled with the information you need to make vital B2B connections and surpass the competition. This holding companies email database includes the names, phone numbers, email addresses, job titles, company information, mailing addresses, and fax numbers of the people you need to talk to if you want to turn trust managers into new clients. Buy this email marketing list to get the valuable sales leads that your business needs without having to waste time trying to compile a contact list yourself! Accuracy is crucial in the investment industry, and it's also important when it comes to bulk email lists. That's why this investment office email list isn't just comprehensive: It's accurate, too. We regularly go through this business database and every other list we sell with both computers and human authenticators to find and remove outdated and inaccurate data. Time is money, and you can save both when you start your marketing campaign by buying this accurate, targeted email address list. Get it today and get results!